We discuss highlights from Achievements, Challenges and Change: The SEC Whistleblower Program Year in Review. Four years ago this month, with the country still reeling from financial crisis, Congress passed the Dodd-Frank Wall Street Reform and Consumer Protection Act-the most sweeping financial reform effort since the Great Depression. The goal of Dodd-Frank was as ambitious as its scope; as President Barack Obama remarked, the legislation would "restore markets in which we reward hard work and responsibility and innovation, not recklessness and greed." For the Securities and Exchange Commission and the citizens whom the Commission protects, one of the key innovations of Dodd-Frank was the creation of a new and game-changing whistleblower program. Understanding the many risks that underpin a report of misconduct, Congress developed three key counter-incentives to encourage individuals to come forward: (1) enhanced protections from employment-related retaliation; (2) the ability to report securities violations anonymously; and (3) the opportunity to obtain significant monetary awards when the information provided results in a successful enforcement action. Together, these incentives embodied a simple idea: rewarding integrity can help uncover wrongdoing in the securities markets more quickly, more easily and more effectively-potentially stopping misconduct before it wreaks substantial harm on investors. 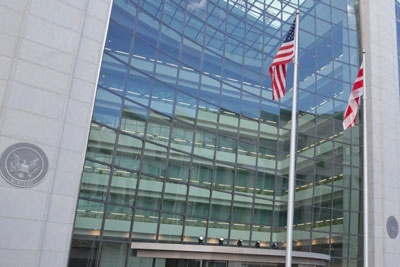 Today, the SEC Whistleblower Program is well underway. While we have witnessed the Program's enormous potential as a law enforcement tool, we also see that more work must be done to stop fraud in the securities markets, bring transparency to investors and protect whistleblowers. In this report, we examine the major developments-landmark cases, significant awards, SEC statistics and hot button issues-related to the SEC Whistleblower Program over the past 12 months and how these developments may impact the future of corporate whistleblowing. The report was also featured on Harvard Law School's Blog Harvard Law School Forum on Corporate Governance and Financial Regulation.